As many of you in the Second Life blogsphere will know, I was fortunate enough to be at a meeting of Second Life media people with the new CEO of Linden Lab, Ebbe Altberg (aka Ebbe Linden), and the Head of Communications Peter Gray (aka Pete Linden). Interestingly, you could say this was the Golden Globes of press meetings – all of us are European (although Drax is based in the US). There are detailed accounts of what transpired at the meeting on various blogs – Inara Pey (who very kindly produced extracts from the meeting in digestible segments); Daniel Voyager; Jo Yardley (who has been updating her blog with further things that Ebbe has been discussing, such as ToS, speeding up Marketplace and re-opening the Jira – and the Friday edition of the Drax Files featured a full recording, so I don’t think I need to rehash what was said and who said what. Instead, like a good Sunday columnist, I propose to offer you my thoughts on this. I’m very heartened by the appointment of Ebbe. After the visionary kick of Philip Rosedale who got the company going, we have seen two CEOs who led Second Life in directions that ultimately proved to be limited and possibly even blind alleys: Mark Kingdon, who held the brief to turn Second Life into a place to do business, and Rod Humble whose brief was clearly to develop Second Life and the Lab as a centre for gaming. With Ebbe, we seem to be in the hands of a CEO whose brief is to manage and to grow … You know, I can live with that. 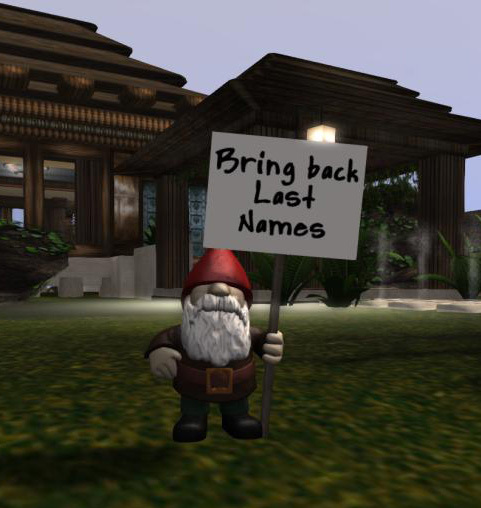 Bring Back Second Life Names! This is not to disparage the efforts of former CEOs. I think that Rod Humble in particular did a lot to strengthen the stability of the platform and also to lead Second Life (some would say to drag Second Life, kicking and screaming) into standard platform technologies such as mesh and materials. He left the actual technology of the grid in a helluva lot better state than he found it. Unfortunately, he also presided over or maintained what I considered to be a lot of bad decisions, such as the disastrous decline in avenues of communication between residents and the Lab, including the closing of the Jira, which many residents had come to see as their only means of protesting to the Lab about issues which they felt to be important – the abandonment of Second Names for residents and the protest Jira over that being a case in point. There was also the ending of the discount for educational establishments and nonprofits – something which has fortunately been reversed – and the restitution of which I was very pleased to hear Ebbe warmly endorse. Indeed, Ebbe impressed me with his declared willingness to listen and – as he explored things – to have all options on the table (something he said as we were discussing the need to reform the process by which new avatars are introduced to the grid). It was very tempting to rattle off a list of things that I would like to see on the table – Terms of Service, Second Names (yes, that little gnome on my front lawn still plaintively asks for that), Community Gateways, more support for creators as the IRS starts to make increasingly worrying demands for tax information of non-US residents (something that is not only affecting Linden Lab, by the way), a plan to revitalise Linden Homes into vivid communities with the support of Second Life designers and, above all, reliable channels of communication. Linden Homes – beautifully built, but where’s the community? And he’s also hit the ground running. 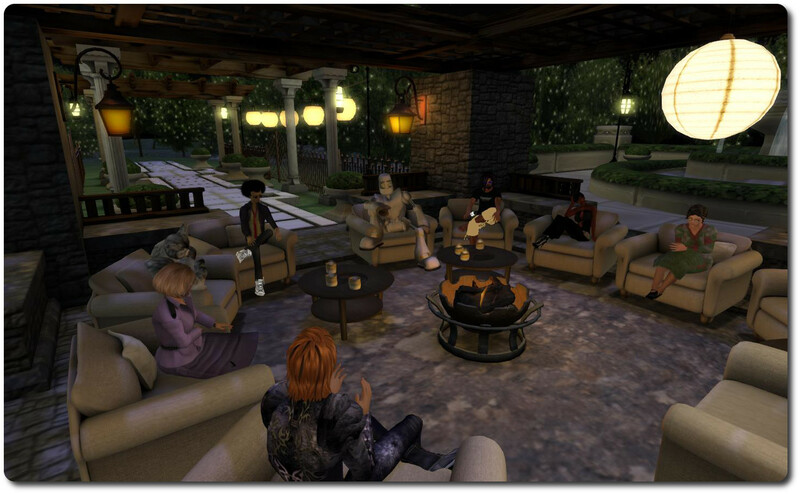 He met with a number of Second Life media who blog or broadcast regularly, he’s interacted more generally with the forums and on Twitter. 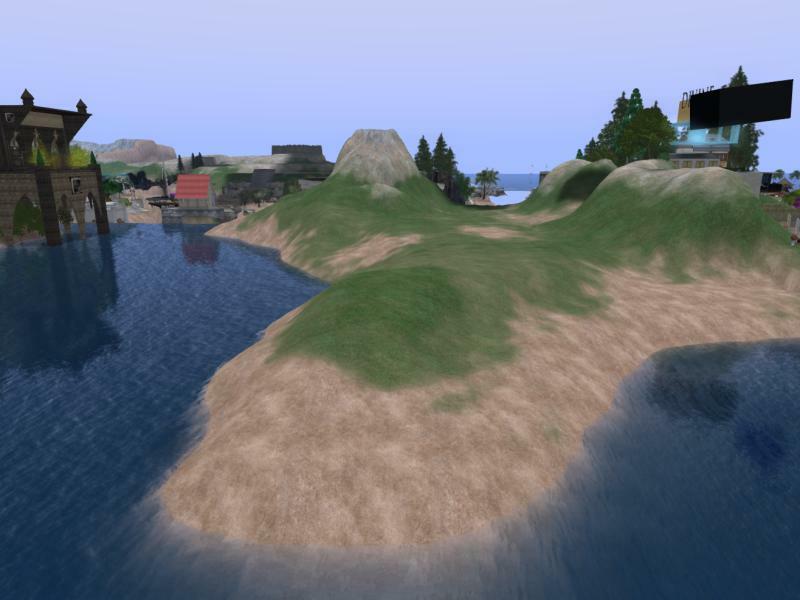 He’s expressed willingness to address or, in some cases, re-address issues that the community are concerned about in Second Life. He’s also presided over the streamlining of Lab products (whether or not he initiated this). And he’s moving forward with a very positive agenda for growth. He’s got a very tough job ahead. Leaving aside Linden Lab’s other products, Second Life is a creaky old platform now, and not only are there parts where the duct tape urgently needs replacing – it’s also a platform where the ingenuity of residents has led to a platform so complex and interdependent that fixing one part creates problems from another. Fix the code that allows the malicious to spam messages to a large number of residents? Suddenly you have merchants howling because they can no longer send messages out to their devoted groups, using the same piece of code. Remove the illegal megaprims that a griefer created to crash sims? Then you realise that he was selling the prims as a side-line and half the most beloved builds in Second Life suddenly have gaping holes in their walls. But no-one said this was going to be easy. Ebbe’s first and most significant task is to build trust between the Lab and the community. This is not going to be simple – trust has been damaged so often in the past that regaining it will be a significant challenge. Opening lines of communication is a great start. Ensuring means of keeping them open (not on a one-to-one with the CEO level) is going to be hugely helpful. Revisiting some problem areas could also be a great benefit. But so too will recognising that Second Life residents can be cantankerous and ornery – about everything. Marianne McCann told me last year that when she was preparing her amazing avenue of flags (which you can see photographed by PJ Trenton in Prim Perfect No.48 – starting on Page 30), again and again as she referenced some change, some innovation, it came accompanied by the words: “And people said that this would destroy Second Life.” Well, still here. There’s a difficult line to be drawn between worried or even panicked concerns genuinely expressed and loud and vociferous complaints because the complainer enjoys (or needs) the subsequent drama fest. And all too often, of course, the two overlap. Sensible voices can become shrill. Shrill voices can be telling the truth. So far, Ebbe seems to have a fine appreciation of this and – in turn – that is very much appreciated. At the end of our session, I slipped in a couple of questions that I said were a little tongue-in-cheek – which they were. But there was also a serious side to them. I asked if Ebbe had tried any sports in Second Life – and he said he hadn’t but made interested noises. 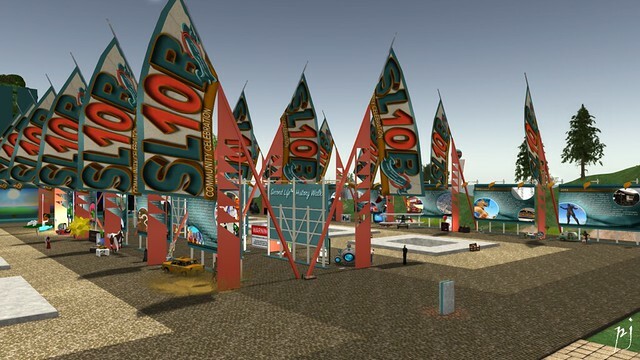 Of course, one can spend a great deal of time in Second Life without trying out any of the sports – ranging from ice hockey to sailing to shooting kraken to en garde tournaments to golf and oh so many more even before you sit down at a table to play Greedy with friends. But Ebbe has a sporting background and I did wonder whether he’s been sufficiently immersed to try some of the Second Life versions (and I think I can still point him at a ski course designed by Alpinists). My second question was about having a home in Second Life. In the old days, many Lindens maintained homes on the grid. It’s a custom that’s fallen away, and I can see why it would have a negative side. But I always thought it was hugely beneficial in giving them a perspective in what living on the grid meant for many residents – whether it was dealing with prim allowances, exploring the shopping experience, understanding how animations worked (and where there were weaknesses), dealing with griefers or other problems. Catherine Linden, for example, maintained a home at a quiet location on the mainland – I know, because we made it over for her on a very early MetaMakeover show. She loved it and kept it till she left the company (I know that because that was when some of my prims were returned!). It was a place where she could take journalists when they came inworld – but it also brought her face to face with the problems residents experienced – in the waterway outside her house were a couple of the ugly spamming ad boards that defaced the mainland back in those days and made residents’ lives a misery – unless they moved to private, covenanted estates. 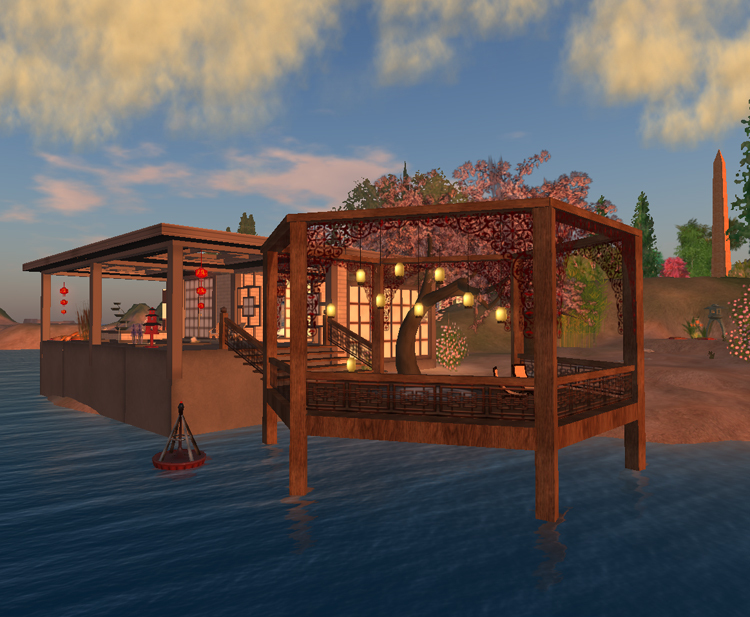 Ebbe said he liked the idea of Second Life as a place to vacation by staying with friends. It’s a nice idea, and a friendly concept. But for me there’s the danger of the tourist who looks at the whitewashed cottages huddled on the hillside and thinks, “Pretty!” and not “Rural deprivation”. And moreover, although I like the idea of a CEO who thinks “friend!” and not “scary customer – avoid!”, I still hope that he will allow himself a little taste of what residents experience that makes them love Second Life so passionately and make them so prickly at any disturbance. And if he’s looking for land, Catherine Linden’s old plot is still free, sitting on abandoned land in a very pretty mainland location. Previous Post: Live Auction at Mad Pea City for Feed a Smile! Eventually it would be good to have similar avenues of communication between “special interest” groups who are heavily invested in SL — I am thinking of merchants, of course, but there are any number of others — and LL representatives. Perhaps not Office Hours, but something.